Apartements We have 2 x 4 person and 1 x 6 person apartment. A good place to be, with in the middle of the field 35 electrical connections and water points. 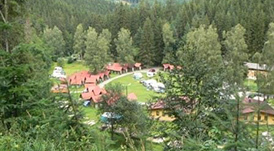 There are also a large number of cabins at the camp. 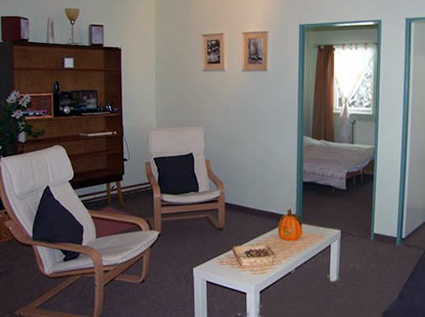 These are basic furnished and offer beds for 2 or 4 people. Ideal for people that are in transit or eg groups. We have 2 x 4 person and 1 x 6 person apartment. The apartments have bedrooms, living room with wood stove (pressed wood is for sale on the campsite), kitchen, toilet and bathroom. All our apartments are non-smoking, pets are welcome. Camping na Kopci, we are looking forward to your visit! Only one point separates the decision to spend your vacation at our beautiful camp site. Midsummer valley is for centuries guarded by the statue of the saint and is interwoven through the flow of the river Bystřička. If you are looking a place to relax or to be very active, we are the ideal place for you! 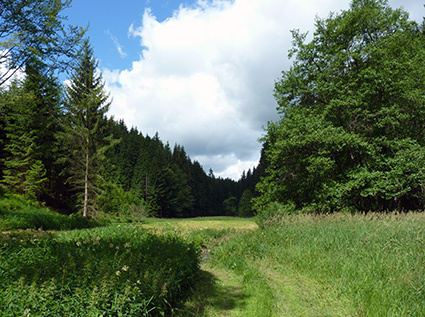 Surrounded by hills and beautifull forests, deep in the heart of the Czech-­Moravian Highlands. Looking for a active or relaxed holiday? We are the place to be! The campsite has a nice swimmingpool and a beautiful river flows past the campsite.